Expert witnesses, if they are well prepared and know your case well, can go a long way to helping you win your case at trial. Often, a case will center on an engineering, scientific, environmental, or similar issue, and having the right expert can make all the difference. However, the flip side is that a poorly prepared expert witness, or one who does not testify effectively, can help you lose your case. Here are seven things that your expert witness should never say. “That’s not my field of expertise, but …” The classic mistake an expert can make is to wander outside his or her area of knowledge and expertise. An expert should never sound evasive or ill-informed. If the answer to a question on cross-examination is truly outside his or her field, it’s not relevant to his or her direct testimony, or the question should draw an objection, the best way for an expert to be believed about what they do know is to admit what they don’t know when it isn’t in their domain. If it’s relevant, the expert should be prepared and should answer. “I have no idea.” Again, don’t sound evasive or ill-informed. A better answer is, “Under the assumptions that I am making, which are …, here is what I’d expect to happen.” In addition, the expert should explain why it is not relevant. “I said that in my report, but …” Do not back down from the report and create uncertainty. The report should be carefully crafted to embody the expert’s conclusions. A significant weakness for any witness is to reverse positions. If for some reason such as new information that was not available when the report was prepared became known to the expert, then it should be made clear that the report was based on what was known at the time. Otherwise, there are better ways to explain apparent inconsistencies. Cross examination is likely to exaggerate such points and it is the expert’s job to neutralize them and put them into better perspective. “I changed my mind.” Again, this creates a dangerous amount of uncertainty for the jury and leads them not to rely on an expert as an expert. If the expert really needs to modify some aspect of his or her testimony, tackle that directly by explaining in open court what slight change is needed and why. “I could be wrong, but …” The expert should never make this concession. The expert’s job is to be forceful and help the jury. The jurors may discount part of the expert’s testimony, but his or her job is not to help them do this. Such type of humility does not serve an expert well. “I’m not really an expert.” Then why are you on the stand? 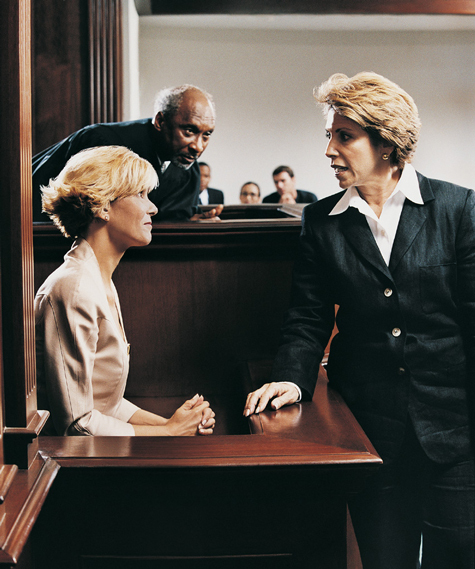 Under the law, expert testimony is admissible only if the expert is qualified, if his or her testimony will help the jury decide issues in the case or understand the evidence, and if the expert’s testimony is based on sufficient facts or data, is the product of reliable methods and principles, and if the expert has reliably applied the methods and principles to the facts of the case. Otherwise, the expert shouldn’t be on the stand. If an expert is unwilling to make a firm commitment to an opinion and to their area of expertise, do not risk putting them on the stand. This is especially relevant when using an expert without experience testifying. “The lawyers told me to say that.” No. Although the expert is on your side, he or she is not a mouthpiece for the lawyers. He or she has objective expertise based on science and technology and has composed an independent opinion. It is up to the expert to own it. Expert witness preparation - hit or myth?